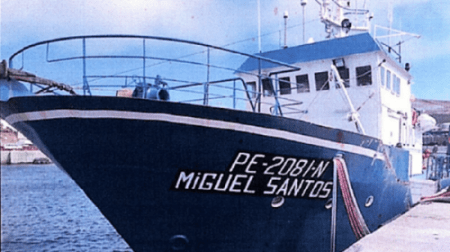 The fishing vessel ‘Miguel Santos’, which about three years ago was intercepted by the Judiciary Police off Madeira with 1,400 kilos of cocaine on board, was sold yesterday for 1.13 million euros. The boat, which has been moored in the port of Caniçal since the time it was ‘picked up’ by the authorities, was auctioned on the e-auctions platform, managed by the Order of Solicitors and Execution Agents, on day 1 of September this year. The proposals could be submitted until 11h31 yesterday, with the maximum bid reaching 1,133,311.10 euros. The bid amount was 352.5 thousand euros, but the fishing potential will have attracted many stakeholders and generated a great dispute over the last few weeks. Final result: the vessel was sold for more than three times the base value defined by the courts. Read more details in this Saturday’s print edition.